One Christmas we decided to vacation in Arizona. I can’t recall exactly why we chose that particular location but I think it had a lot to do with warm weather, somewhere to play golf and the millennium. I tried to put the holiday together myself but couldn’t do it cheaper, largely on account of the flights, than the travel agent. BA had just started direct flights to Phoenix, Arizona and the travel agent was able to get killer rates for two club class return tickets. 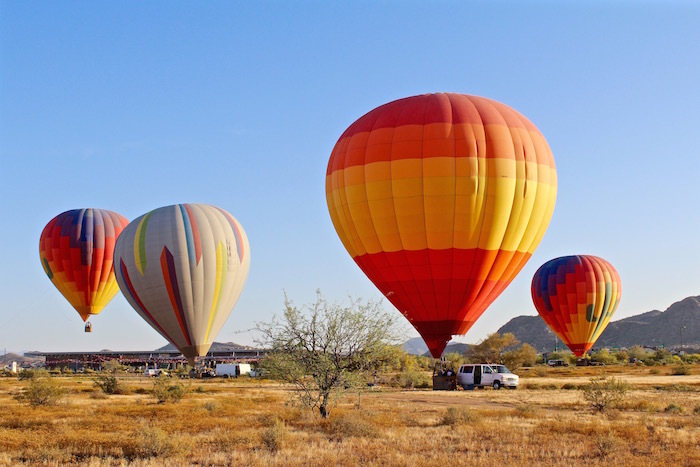 This could have been one of our “40 Memorable Moments” but it didn’t make the list despite being a fabulous vacation, with breathtaking sunrises and sunsets, astounding scenery and where I was introduced to South Western and Texan cuisine. There are lots of great resort hotels in Arizona but we plumped for The Boulders because it sat so beautifully in the landscape, and it had two great golf courses. The plan was my beloved would work on his handicap while I chilled out in the spa and we’d also tour around the area. 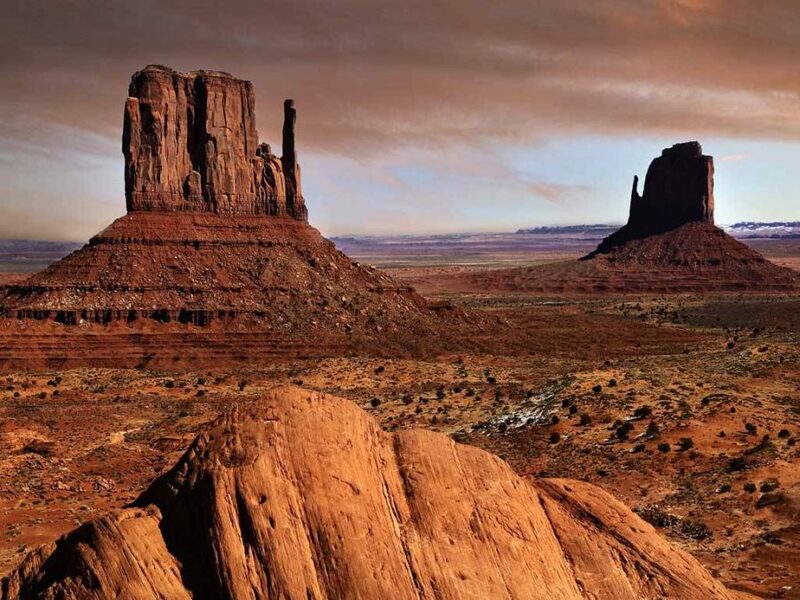 For me the highlight of the vacation was the beauty of the desert landscapes. I had just thought it would be miles and miles of sand, but it wasn’t. It was surprisingly green and achingly beautiful. I even controlled my fear of heights to see the landscape from a hot air balloon which was nowhere near as bad as I’d feared. We set off at first light and I was amazed at just how much you could see from the balloon and I didn’t really (fortunately) feel I was up high. Maybe all that sand masked the sensation of height? We also took a flight to see the Grand Canyon which was truly spectacular. I was surprised at just how large it was, but then that’s so often the case in the States: meals, buildings, distances – everything is larger than life. 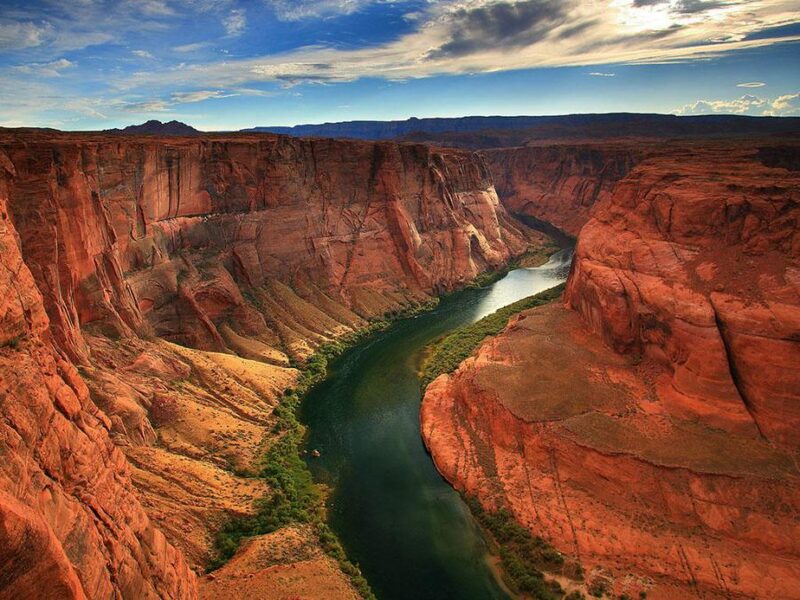 There’s this huge crevice, carved out of the landscape with a beautiful turquoise ribbon (Colorado river) at its base. When my two sisters went to Las Vegas, I said they had to go see the Grand Canyon. On their return I learned it had been sunny on the day they’d decided to visit, so they sun-bathed instead of visiting one of the world’s great sights! We also drove around the area, admiring the rich palette of colours of the landscape, particularly the reds and ochres of the rock formations. One fine sunny day I offered to drive the golf buggy for my beloved and we set off from the club house with me driving carefully along the track. After a while, I started mucking about, particularly as the track became quite windy. There were loads of cacti on the golf course largely chollas, prickly pears and saguaros. 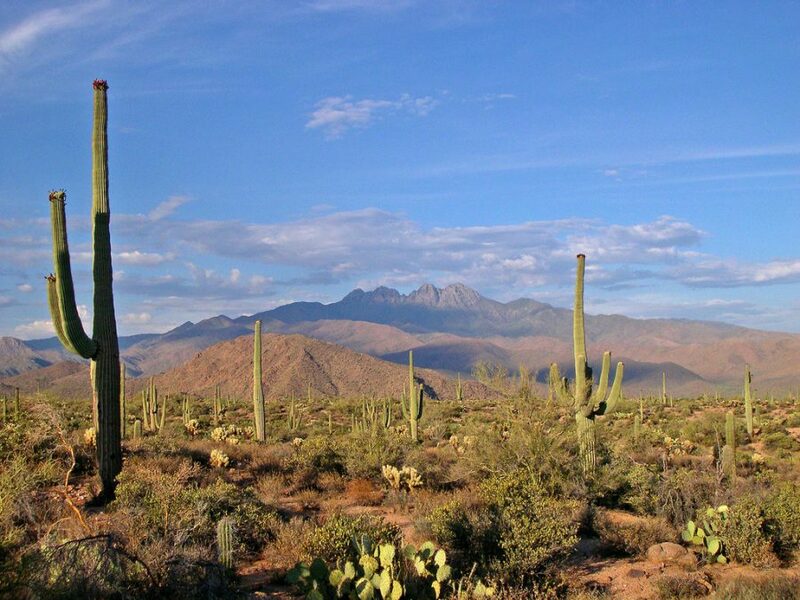 The flower of the saguaro is the emblem of Arizona. Harming one of these in any manner is illegal under Arizona state law. Obviously, there are exceptions but, in general, you must obtain special permits to move or destroy any saguaro unless it has fallen over in a storm or it has become a potential hazard. That was my one and only time at the helm of a golf cart. The rest of the vacation passed without incident. I love the suggestion that off-road driving or collecting fall into the same category as off-road shooting! But then, of course, we are talking about the States. Fire away, just don’t run over any cacti! :D. We definitely love our guns. Fantastic photos and story, put me right in the scenery. Sadly, I’ve never been to the Grand Canyon but flown over it many times. Dad plays golf and I recall a few times as a kid my brother and I being uninvited from driving the cart. No biking though. 😦 JK. I’m from Texas and learned to shoot guns but frankly many of us despise them. I’ll be housesitting in the Hill Country and there are coyotes and bobcats that will try to eat the dog, so I can see where guns are a necessary evil / fact of life. But not in the city. A bien tot. Love to visit you in France for le Tour. What part are you in? Alas, no $. I live on the Cote d’Azur and we last had a stage of the Tour in 2013, though neither the Alps nor the Pyrenees are too far away. However, for getting up close and personal with the riders, you’re much better off at smaller races such as Pars-Nice. This week-end I’ll be watching the Tour de Haut Var Matin, a French Cup race on the UCI European circuit. 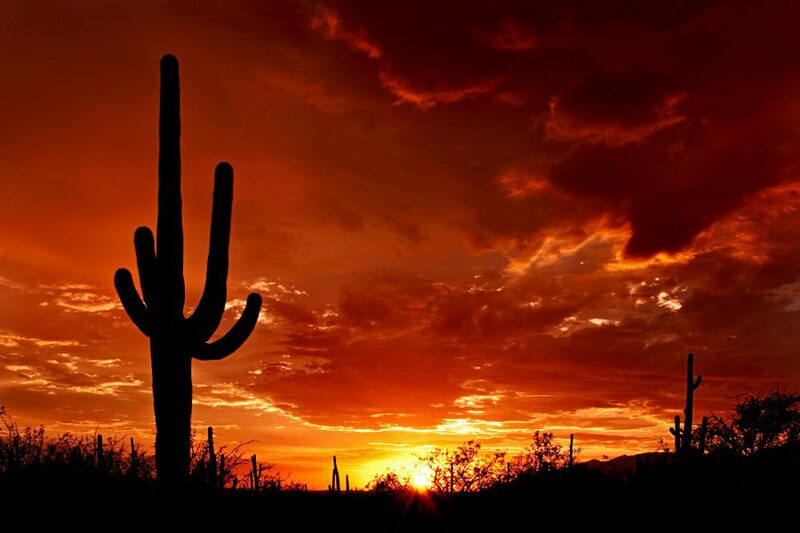 Thank you, Sheree, for sharing more stunning photographs, in particular, the cactus sunset with its dramatic red sky.